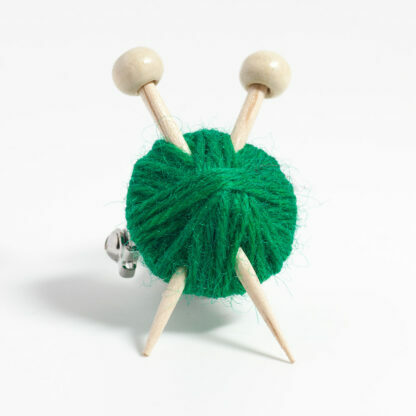 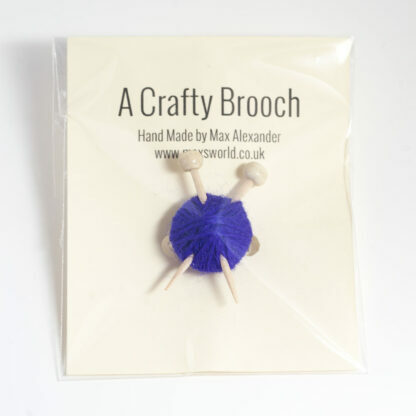 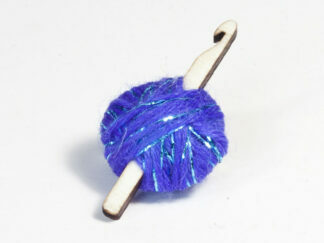 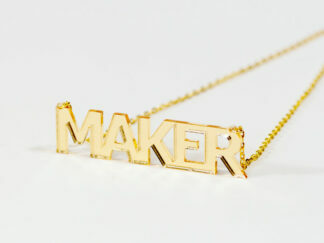 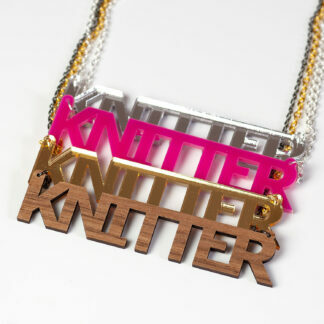 This brooch is an ideal accessory for the fashionable knitter. 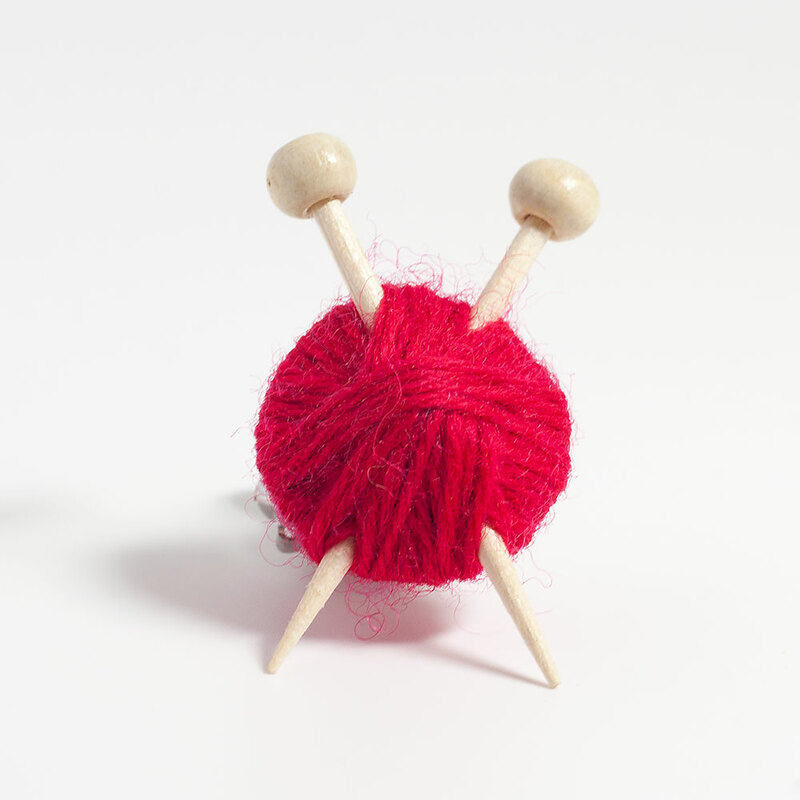 It features a tiny ball of yarn with knitting needles in it. 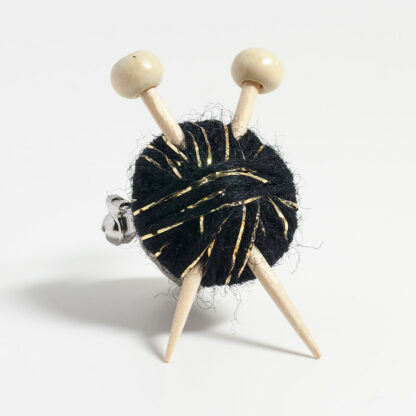 It has a standard brooch fixing securely sewn to the back.